When I try to use SSR in HTML (R# 5.1.3000.12), no matter what I do, I get the "Can not parse pattern" error [see the attached screenshot]. If SSR does not support HTML files, will it ever? In ReSharper 5.x Search with Pattern works in C# only. 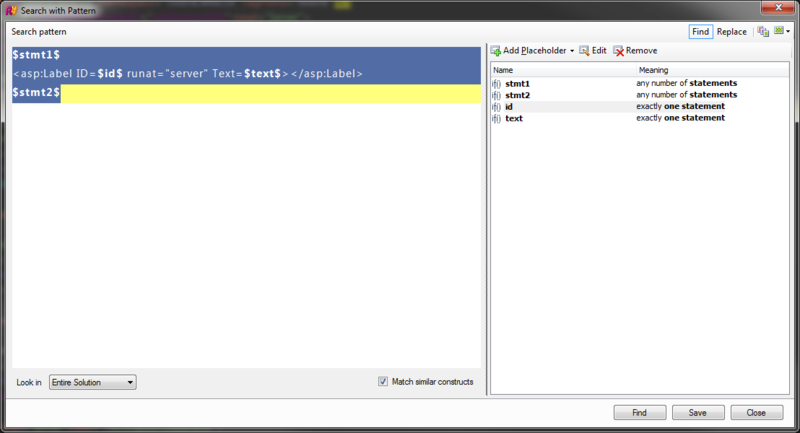 We're working on providing this functionality for other languages supported by ReSharper. Stay tuned!